In reality, such consent cannot be assumed, as Eleanor Sharpston has pointed out. She also suggests that it might be difficult for any extension to last beyond 2 July 2019 – the inaugural session of the European Parliament following elections in May. The question of whether the UK ought to seek an extension is outside the scope of this post and nothing in this post should be taken as endorsing any particular course of action. 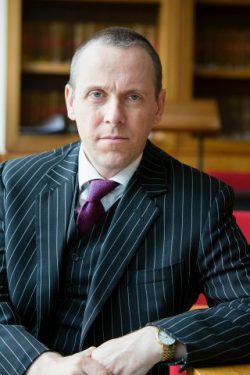 Over a year ago, I argued on this blog that the European Union (Notification of Withdrawal) Act 2017 (‘EUNoWA’) meant that revocation of the notification given to the EU under Article 50 would require the conferral of a statutory power, as a matter of domestic law, and that could only be achieved via fresh legislation. This is because any attempt to use prerogative power would be in breach of the frustration principle in relation to EUNoWA. More recently, Gavin Phillipson and Alison Young have argued that the European Union (Withdrawal) Act 2018 (‘EUWA’) provides a new and independent reason why the frustration principle would be breached if the government attempted to use prerogative to revoke notification of Article 50. Robert Brett Taylor and Adelyn Wilson have argued on this blog that EUNoWA contains an implied statutory power to revoke notification. See also this by Aris Georgopolous on this blog. The majority judgment in Miller applied the frustration principle directly and considered the relevance of the treaty prerogative in EU law specifically. It must therefore frame the analysis of any potential extension of the Article 50 process using prerogative. Unfortunately, some careful parsing of the relevant paragraphs is needed. Miller confirmed that the frustration principle is settled law (). As I argued in Public Law (Brexit special edition, 2017), Miller was, in my view, a simple application of the frustration principle and, as the majority stated, their conclusion followed ‘from the ordinary application of basic concepts of constitutional law’ – (). Miller is indistinguishable from the decision in Laker Airways which has stood unchallenged for over 40 years. Unfortunately, however, some dicta in Miller may raise doubts about the status and even the existence of the treaty prerogative in the context of the EU. Lord Templeman in Rayner said that the treaty prerogative meant that the government could ‘negotiate, conclude, construe, observe, breach, repudiate or terminate a treaty’. This passage appears to suggest that in relation to the ‘EU Treaties’, the prerogative does not exist. At first sight, this is quite a troubling statement. It can be immediately be countered by pointing out that the government used this very prerogative for 46 years to agree new Treaties, and new legislation, at EU level. Furthermore, the first half of the extract above makes clear that the prerogative cannot be exercised in relation to EU Treaties. This is correct but a claim about how a prerogative is exercised presupposes the existence of that very prerogative in the first place. It just cannot be used in a way that frustrates the intention of the ECA and other domestic Acts. This means that paragraph 86 contradicts itself within just a few lines. These two extracts are not reconcilable, particularly as the claims in paragraph 95 presuppose the existence of the power which is claimed not to exist in paragraph 86. Paragraph 95, like the first half of paragraph 86 suggests that the prerogative exists but simply cannot be used in a way that frustrates the intention of the ECA (or other Acts such as the now repealed European Parliamentary Elections Act 2002 (‘EPEA’)), which is not controversial – or to perhaps be more accurate, it really should not have been controversial. The better view, it is suggested, is that there is a general ‘treaty prerogative’ power that persisted throughout the period and simply could not be used to trigger notification because that would be to frustrate the ECA and other Acts. That power includes the ability to agree new law at EU level and, but for the ECA, would have permitted notification to have been made using that power. This view would situate the treaty prerogative as just one aspect of an even larger prerogative of ‘foreign affairs’ which would include defence of the realm and declaring war. The alternative view that there are many singular prerogative powers that pop in and out of existence in some eccentric way is unhelpful and wrong. It might be thought that the power conferred by EUWA on the government to change ‘exit day’ would be sufficient in domestic law. This is mistaken, not least because changing exit day only has effect with respect to EUWA. Exit day is an important part of EUWA, not least because s 1 EUWA repeals the ECA on ‘exit day’. S 20(3) Subsection (4) applies if the day or time on or at which the Treaties are to cease to apply to the United Kingdom in accordance with Article 50(3) of the Treaty on European Union is different from that specified in the definition of “exit day” in subsection (1). All that s 20(4) EUWA does is permit the change of ‘exit day’ as a matter of domestic law in EUWA. That does not mean that there exists a valid source of lawful authority to extend Article 50 at the international level – indeed neither s 20(3) nor s 20(4) purports to grant a statutory power to extend at the international level. Furthermore, s 20(3) presupposes that there exists an alternative legal basis through which the government can change ‘exit day’ so it is no longer 29 March 2019 as set out in EUWA (the author would like to Jack Williams for this point). The obvious candidate for such a legal power is the prerogative. Along the same lines, it might be thought that since an extension under Article 50 necessarily takes place at the international level, there is no need for any further legal authority at domestic level beyond the royal prerogative to extend the process at EU level. This is theoretically correct, but as Miller confirmed, care must be taken to ensure that any such purported lawful exercise of prerogative does not frustrate the intention of any Act. If it does, fresh statutory authorisation must be sought from, and conferred by, parliament. Some may think that s 20(4) EUWA might provide an implied statutory authority to extend the Article 50 process at the international level. After all, if the government has had the power conferred on it by parliament to extend the process in domestic law, it might seem somewhat odd that there is no statutory power conferred on the government to seek to change the date at the international level. Such an argument faces some serious hurdles. The first, obvious, difficulty is that the courts are not in the habit of implying new statutory provisions into Acts of Parliament. This point is also somewhat problematic for those who might think that EUNoWA could contain an implied power to extend the Article 50 process. The power to notify under Article 50 was a highly specific and narrow conferral by parliament in EUNoWA. Crucially, the language of EUNoWA is not remotely unclear or vaguely worded. Thus, the claim that EUNoWA contains an implied statutory power to extend the process at the international level seems unpersuasive. Secondly, and connected to the first point, s 20(4) is an example of a ‘Henry VIII’ clause. Such clauses allow for the modification of primary legislation. It is trite law that such clauses are construed narrowly, not broadly (see the Public Law Project case at ). Implying a statutory power into s 20(4) EUWA therefore faces an additional hurdle. Thirdly, any implied statutory power would necessarily overlap with the prerogative and put it into abeyance. The courts have consistently held in case law since De Keyser that statutory provisions that overlap with prerogative powers and put them into abeyance must be clearly expressed. There is no example in the case law of an implied statutory provision that has put the prerogative into abeyance. The majority held that the idea of reading into s 2(1) ECA a statutory ‘power’ to notify under Article 50 at the international level was impossible because such a power was ‘not one which would be given “legal effect or used in”, or which would be “enjoyed by the United Kingdom”’ . By contrast, Lord Reed considered the point ‘arguable’, but did not pursue it (). It seems unlikely that the court would impliedly read an analogous power (to extend) at the international level into s 20(4) EUWA which contains no wording about ‘powers’ at all, when it refused to read any equivalent statutory power (to notify) into a statutory provision, s 2(1) ECA, which specifically includes the phrase ‘powers’. Incidentally, if the court in Miller had read a statutory power into s 2(1) ECA then some difficult questions about the applicability of the Miller ratio to the use of the prerogative to agree the Withdrawal Agreement could have been avoided. It might be thought to be somewhat strange that prerogative could be used to extend the Article 50 process but could not be used to notify the start of the process, or indeed revoke such a notification. Any sense of strangeness may fade when the nature and role of the prerogative in domestic law is considered. The treaty prerogative is a general power possessed by the crown in domestic law and exercised on the international plane. Case law has established that the general power is constrained if it conflicts with any Act. This means that the power to notify under Article 50, and revoke that notification, are certainly included within the treaty prerogative – just as the power to agree new law at EU level is included – but those powers could not be exercised due to the ECA, EUNoWA and EUWA. The remaining question is obviously whether the treaty prerogative power to extend the Article 50 process (which is certainly encompassed within the general treaty prerogative) can be exercised. The answer to that question involves ascertaining whether an extension would frustrate the intention of parliament in any Act. The first Acts to consider are EUNoWA and EUWA. Unlike revocation, it is not at all obvious that a short extension would frustrate those Acts. On the contrary, to the extent that such an extension permits a smoother achievement of what parliament clearly intended in passing those Acts (which is to leave the EU), the exercise of the prerogative in this case to secure a short extension would not appear to frustrate those Acts in any way. Furthermore, the very fact that parliament conferred a power on ministers to change the exit day as a matter of domestic law suggests that exercising the prerogative in a way consistent with that power is very unlikely to be considered to frustrate the intention of parliament as expressed in EUWA. Indeed, this is what appears to be envisaged in the final sentence of the extract from paragraph 95 of Miller above. On the other hand, it is difficult to see how using the prerogative to continue membership of the EU on a temporary standstill basis could frustrate the intention of parliament in the ECA. Nor would it seem to frustrate any of the other Acts mentioned in the Miller litigation, and in the original post on this blog that precipitated that litigation by Barber, King and Hickman. There is a slightly tricky point about whether repeated extensions could eventually (or fairly quickly) mean that the intention of parliament was being effectively frustrated but that issue may be safely deferred to another day. Recent events have shown that there is no shortage of potential litigants willing to draw such matters to the attention of the courts, even where the arguments are woeful. In addition, a rolling extension might fall foul of the CJEU following the Wightman decision. The exercise of the treaty prerogative to extend the Article 50 process would thus appear to be consistent with all relevant Acts as a matter of domestic law. There is one codicil, however. Schedule 7 of EUWA requires that any change in exit day must be approved by affirmative resolution in the House of Commons. If there needs to be a positive vote in the Commons anyway, the government might prefer to change the date by piloting a short Bill through the House – and in the process, for the avoidance of any doubt, seeking statutory authorisation for the government to extend the Article 50 process at EU level, as well as perhaps conferring statutory authority to continue all future negotiations at EU level concerning the Withdrawal Agreement and the Framework for the Future Relationship. This post has suggested that, unlike revocation of notification, the treaty prerogative can be used to extend the Article 50 process on the international plane as a matter of domestic law. It has suggested that some of the Miller dicta on the nature of the treaty prerogative must be approached with caution (although those of us with the luxury of time to reflect should perhaps recall that the judgment was drafted in a considerable hurry and under unprecedented political pressure). It has been further suggested that the idea of an implied statutory power faces seemingly insuperable hurdles. Overall, and unlike notification, or revocation of notification, it is suggested that the treaty prerogative is a sufficient legal basis for a brief extension of the Article 50 process on the international plane as a matter of domestic law. The author would like to thank Gavin Phillipson, Carl Gardner, Jack Simson Caird, Paul Craig, Tom Poole, Jack Williams and Alison Young for their helpful comments on a previous draft. The usual disclaimer applies.